Wednesday, January 4, 2012 at 1:33 pm. Roku reached 2.5 million total streaming boxes sold last year, USA Today’s Jefferson Graham reports, which was behind its estimate of 3 million, according to GigaOM’s Janko Roettgers. After passing 1 million boxes sold early last January, that suggests about 1.5 million sales for the year, and being about 25% behind target for the year. That’s not terrible: Selling 1.5 million of anything — especially a streaming box, which most people don’t even know what to do with — is nice, I suppose. But it’s not a very impressive number, either. For context, about 70 millon U.S. households have HDTVs. Netflix has about 20 million streaming subscribers. And at the end of Q3, some 33.5 million homes in the U.S. had Blu-ray, according to DEG, an industry group. In conclusion: The vast majority of people — even those with Netflix — don’t have or want a Roku. 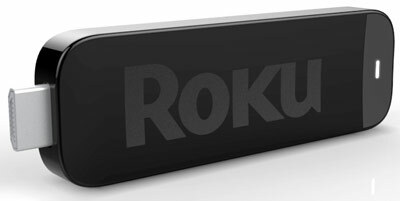 Roku’s latest gamble is to shrink its device to the size of a big marker, which can plug straight into special “MHL” equipped HDMI ports on newer TVs, and use existing remote controls. The idea is to make adding Roku to your life simpler — you’re not necessarily adding another box or remote to your living room — and to drive adoption by bundling them with TV sales. But it’s hard to see how this would lead to any huge growth, or put Roku in any sort of dominant position in the living room. It’s great that they’re trying, but I don’t see anything to get excited about yet.